Mitch Haniger provided the heroics on the 3-2 win, but a victory by the A's means the Mariners stay 7.5 games back for a playoff spot. They avoided the embarrassment of being swept at home in front of crowds where a large portion of fans were cheering for their opponents. But with another day lost, the inevitable for the Mariners moved that much closer. Even with a 3-2 win over the Yankees on Sunday afternoon, elimination from the postseason looms in the coming days. To most, that destiny was apparent with a loss to the Orioles in the previous series and the two defeats to start this series versus the team that is locked into playing in the American League wild card game. With Oakland (87-57) rallying for a 7-3 win over the Rangers, the Mariners (79-64) remain 7 1/2 games out of the second wild card spot with 19 to play. You can tell yourself the math still works. But nothing that’s been on display with either the A’s or the Mariners for the last two months provides much of a reason to hope. 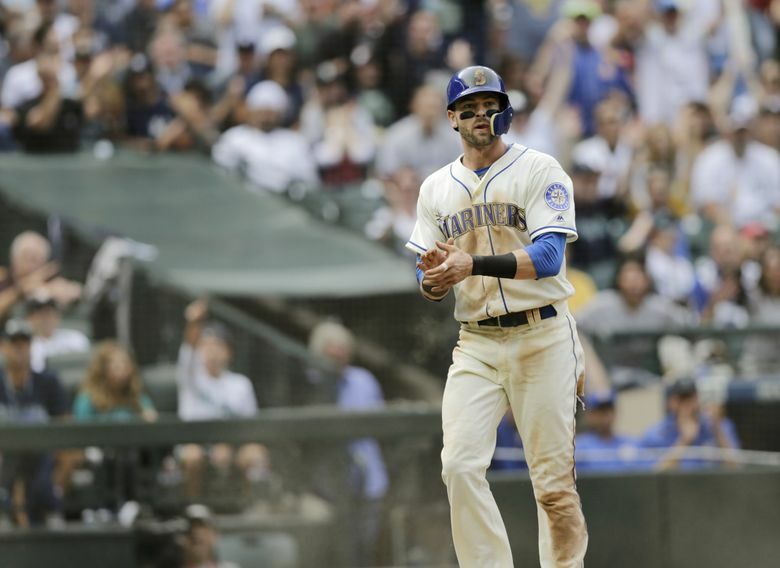 The Mariners, and Mitch Haniger in particular, didn’t play like they waved the white flag. But Haniger could be playing in a church-league softball game and would want to take pregame batting practice and have detailed scouting reports of the opposing pitcher. “Mitch Haniger took over the end of that ballgame,” M’s manager Scott Servais said. The ultraserious Haniger played a major role in the victory despite not getting a hit. In the bottom of the eighth with the game tied at 2, he worked a leadoff walk from the Yankees’ hard-throwing setup man Dellin Betances. 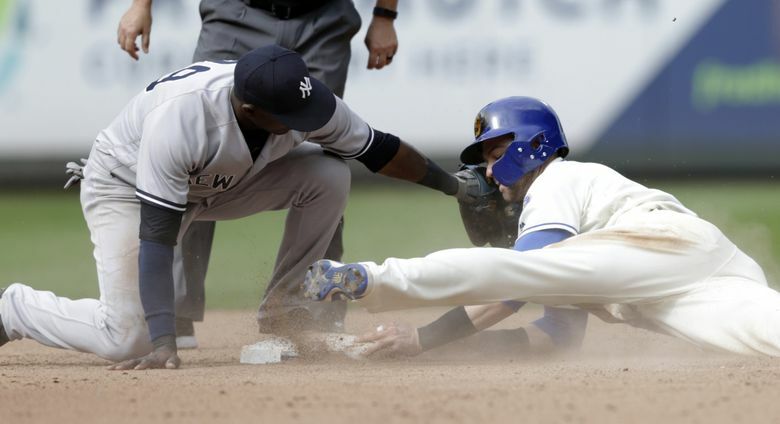 Once on first base, Haniger took advantage of Betances’ 6-foot-8 frame and slow delivery to the plate, stealing second and avoiding the tag with a nifty headfirst slide into second. Jean Segura moved Haniger to third with a well-executed sacrifice bunt. 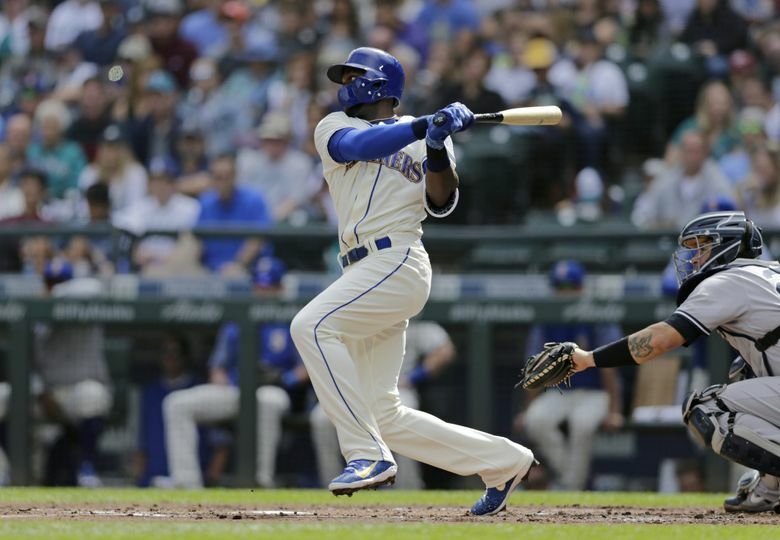 “The key, key play in that inning is the bunt; you have to get him over to third,” Servais said. 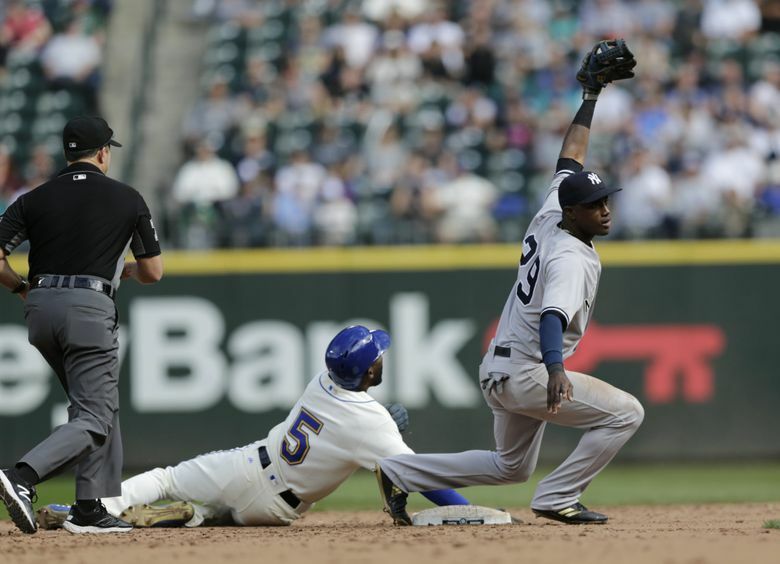 With Haniger on third base, the Yankees played the infield in close against old friend Robinson Cano for a play at the plate. They got one when Cano hit a slow ground ball to shortstop Adeiny Hechevarria, who fired home. But Haniger was running on contact and made his second brilliant slide of the inning, going feet first away from home and reaching back with his left hand to swipe the plate before the tag. Haniger’s heroics weren’t done after scoring the go-ahead run. He secured Edwin Diaz’s 54th save with a gorgeous, full-layout diving catch on Giancarlo Stanton’s broken-bat bloop to shallow right-center to end the game. Haniger has had a brilliant sophomore season in the big leagues. He’s remained healthy and put up quality numbers — a .271/.361/.484 slash line with 32 doubles, three triples, 24 homers and 85 RBI in 140 games. But he’s more than just a hitter to Servais. The mindset of contributing in all aspects is something that the normally quiet Haniger became verbose in discussing. Erasmo Ramirez gave the Mariners serviceable start, pitching five innings and allowing two runs on six hits with two walks and four strikeouts. Both of his runs allowed could have been avoided. 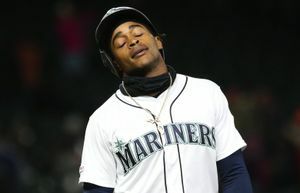 In the first inning, a miscommunication between shortstop Jean Segura and left fielder Cameron Maybin allowed a routine pop fly off the bat of Stanton drop between them for a double. The mistake hurt when Miguel Andujar doubled down the left field line to make it 1-0. 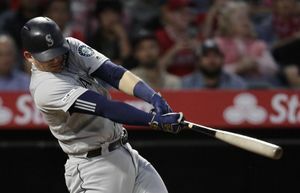 The Mariners offense, which has been basically lifeless in more games than not since the All-Star break, picked up two runs off Yankees starter CC Sabathia in the bottom of the first. With two outs, Seattle reeled off four straight singles, including RBI singles from Ryon Healy and Maybin to take a 2-1 lead. The Mariners didn’t score over the next seven innings. “CC kind of shut us down there, and they we got into the their bullpen which is always a challenge,” Servais said. The Yankees tied the game in the fourth inning. Ramirez loaded the bases on three straight singles and looked like he might get out of it. But with two outs, Andrew McCutchen worked a bases-loaded walk to tie the game at 2-2. 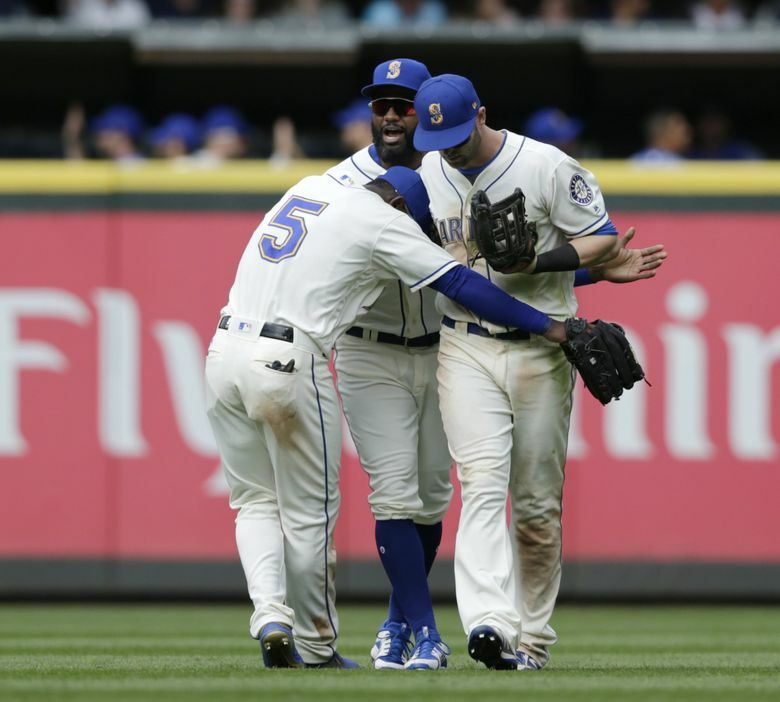 The Mariners were not pleased with home-plate umpire Jeremie Rehak, who they felt missed a called third strike that would have ended the plate appearance and inning without allowing a run to score.